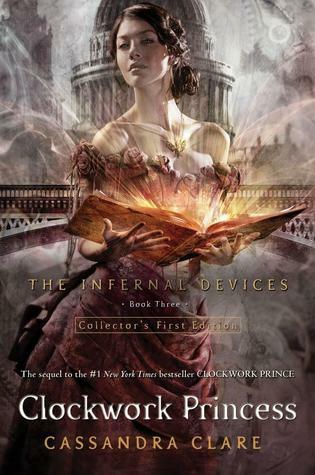 Danger and betrayal, secrets and enchantment in the breathtaking conclusion to the Infernal Devices trilogy. Tessa Gray should be happy – aren’t all brides happy? Yet as she prepares for her wedding, a net of shadows begins to tighten around the Shadowhunters of the London Institute. A new demon appears, one linked by blood and secrecy to Mortmain, the man who plans to use his army of pitiless automatons, the Infernal Devices, to destroy the Shadowhunters. Mortmain needs only one last item to complete his plan. He needs Tessa. And Jem and Will, the boys who lay equal claim to Tessa’s heart, will do anything to save her. Welcome to yet another tag-team review, where Lori and Lindsay discuss their thoughts on a book they both read. I can’t think of the words to express how I feel about this book at the moment. It is sweet, and beautiful. I don’t know whether to hope for more books in the series, or be content with it ending on a high note. I can easily see how the characters could overlap into the Mortal Instruments series, more than they already have. Lori: Meh. I saw that coming. It took me forever, FOREVER to get into the book. Will was such a pansy in this one. I think I am over Cassie Clare. We have to discuss the cover. Seriously. I LOVE IT! It’s not at all how I pictured Tessa, and there is no way that that woman is 17. But it’s still gorgeous! I’ve heard people complaining that her covers are starting to look too “romance”, more like something they would see for sale at a drug store check out. 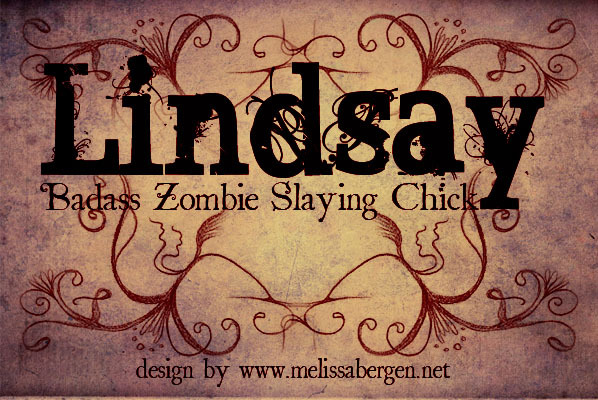 Okay, I’ll admit, maybe City of Lost Souls was a little hokey, but this one tantalizes my senses! Lori: Meh. I’ve seen better. LOL. Kidding the cover is eye catching, except that lady looks at least 30. I started out being a little lukewarm about this book. The writing was good, and I was enjoying it, but it wasn’t exactly keeping me up at night. And then, suddenly, I hit page 400. Everything before this page became inconsequential. It had all been building to this chapter. From that page on, I couldn’t put it down. I read late into the night, and picked it up again first thing the next morning. I know, 400 pages seems like a lot to read to get to the good part, but there is plenty going on to keep you entertained until then. My only complaint about Clockwork Prince had been a lack of plot movement. It was almost entirely character development, and the budding romance between the trio, Tessa, Will and Jem. In this book? Stuff happens. A lot of stuff. Lori: Ehh. Clare writes the same book over and over again. She’s like the Nickleback of literature, it’s the same stuff, so if you like one you’re bound like them all. At least that is the theory. The only thing that Clare gets right is the romance, and she manages to flub that up for the first half of the book. The debate has been going on for years now. Jem or Will, who will it be? I always felt that it was an entirely unfair choice. They are both amazing men, in their own ways. Can’t one of them just be a jerk? But no. Who said life would be fair?! In this book, being the “finale”(or so we are told) of the series, Clare finally deals with Tessa’s choice. Personally, I think the way she worked it is complete perfection. There will not be riots in the streets between Team Will and Team Jem. Although, there will be an epidemic of swoons and sighs. Lori: Meh. WILL. The ending was pft whatever, I don’t believe in making fans happy. I’d rather be mad that Tessa picked the wrong guy than have that wimpy ending. Overall, I think this series was stronger than the Mortal Instruments. It had a solid base of characters and had a distinct plot arch that carried through the three books. The MI, which has now been extended to six books (and possibly more), does carry over a handful of characters, and historical references. I can’t help but feel that there will be a major carryover for book six, though. Grrr! You guys have no idea how much I want to tell you the ending, and get your opinions on it. Lori: I get the series mixed up in my brain for the most part, but yeah. This one is better. Especially if she stops here. Seriously. Stop. I think I was mostly just in the mood for a HEA. I’ve been reading so many cripplingly sad stories lately, so this one just came at the right time for me. I thought I was done with Clare after MI#4 (GARBAGE!). I must be getting a second wind. Copyright © 2019 Contagious Reads. Tweak Me theme by Creative Whim.